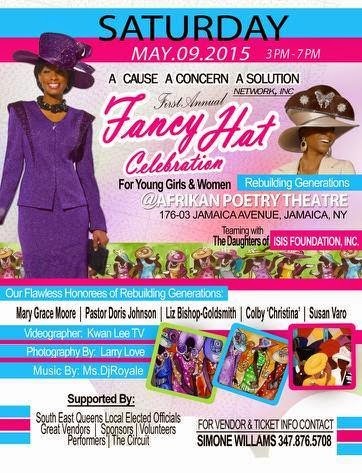 Fancy Hat Celebration is a unique opportunity for the community to work on "Rebuilding Generations through Bridging the Gap" from our youth to our elders. Come out with your Fancy Hat and celebrate with us, through music, dance, spoken word, good food and company! "What can you tell about a person by looking at her hat"
We welcome Faith Based Organizations, churches, the Circuit Family, Community Organizations to come out support and donate to our celebration. Come out and Celebrate with Christina Winslow, ACACAS, The Daughters of Isis Foundation, Inc.
About the Southeast Queens Scoop - is the premier website and only publication offering daily news and updates on the events, culture, issues, and business in this largely black historic community. Under the supervision of the Project Director, and within the Catholic Charities frame of an Integrated Service Delivery philosophy of family centered, strength-focused, and hope engendering practice, the Program Manager will manage the day-to-day operations of the program, development of the Individual Service Strategies and case management services, educational services, employment services, job readiness services, internship placements, monitoring services and provide follow-up. 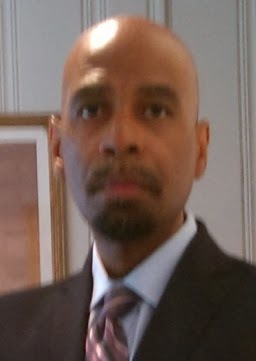 Responsible for oversight, management, and coordination of key program components including the outreach, recruitment, screening, enrollment, assessment, orientation of young adult participants, assessment, development of the Individual Service Strategies and case management services, educational services, employment services, job readiness services, internship placements, and monitoring and follow-up services (which include all of the above). Provide supervision and oversight in the delivery of work readiness training, including, but not limited to job etiquette, professional communication in the work place, personal health and well-being, ethics, labor market knowledge, job search techniques and positive work habits, attitudes and behaviors. Provide supervision and oversight in the implementation of securing and maintenance of internship sites including orientation and compliance with program guidelines & securing post internship employment. Provide supervision and oversight in the provision of basic skills instruction for young adults to ensure their success in their internships including business writing, financial literacy, and providing assessment of educational performance to determine appropriate programs to help the participant advance in all phases of the program. Provide supervision and oversight in the outreach, recruitment, and assessment of YAIP participants, in the management of YAIP work sites and internships, and in the input and management of YAIP and CCNS databases. Direct the YAIP staff in goal-oriented integrated services leading to participant milestone achievement. Hire, train, and supervise all professional and paraprofessional staff, monitor, and identify staff training needs. Maintain an up-to-date program manual with detailed program descriptions & agency and funder requirements and regulations for use in orientation and training of staff, worksites, and participants. Provide education workshops in employment-related skills , communication skills, healthy work habits, financial literacy and other topics as deemed necessary to promote participant success. Conduct screening and selection of YAIP participants, along with other YAIP program staff. Collaborate closely with program staff, other internal and external service providers to ensure holistic planning for young adults and their families. We often hear people complain about how Black entertainers and those in hip hop "need to give back more to the community." We should all realize some entertainers do give back however many don't publicize it. Since 2003, to the tune of a reported $2.9 million dollars, a top hip hop celebrity has been giving back in terms of offering educational opportunities to young people from challenging backgrounds. And we hope some young people in our community apply and take advantage of it. Shawn Carter AKA Jay Z, is definitely giving back with his Shawn Carter Scholarship Fund (SCSF). 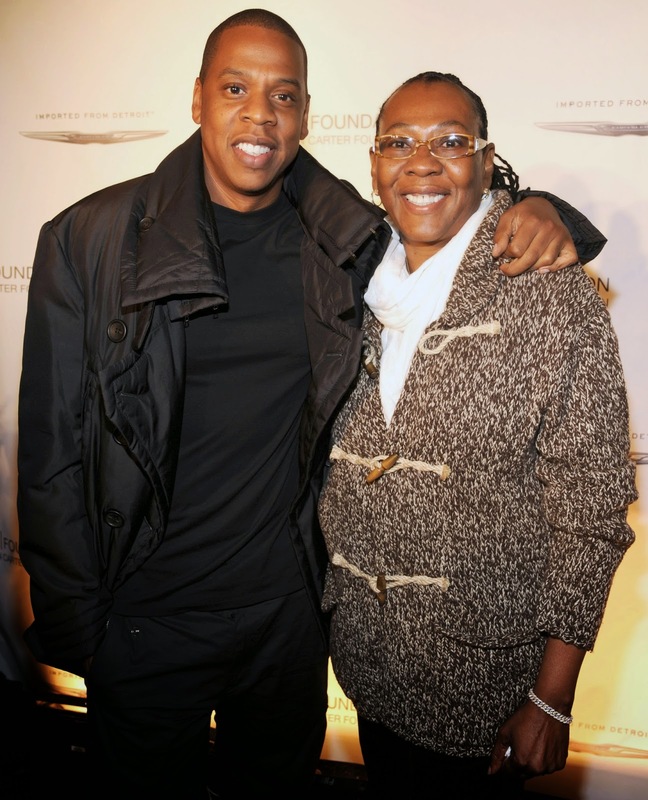 The scholarship is run by Jay Z's mother Ms. Gloria Carter, who is the CEO, and Co-Founder. According to the Shawn Carter Foundation website the fund "was founded on the belief that any motivated individual in need should have the opportunity to further his or her education. By removing some of the financial burdens associated with going to, surviving in, and graduating from college, the SCSF plays a vital role in increasing college access and success for many motivated yet under-served youth and young adults. The SCSF provides individual grants, paid directly to the educational institution, to every student who qualifies and reapplies yearly, from admission to graduation. The grant can be used to cover tuition expenses and related supplemental educational expenses such as books, lab fees, travel and select costs of living. All Shawn Carter Scholars are required to “give back” by conducting community service and by serving as mentors to younger, aspiring Shawn Carter Scholars." Kudos to Jay Z for creating a scholarship for students who work hard to achieve a better life for themselves while overcoming tremendous setbacks and obstacles in life. 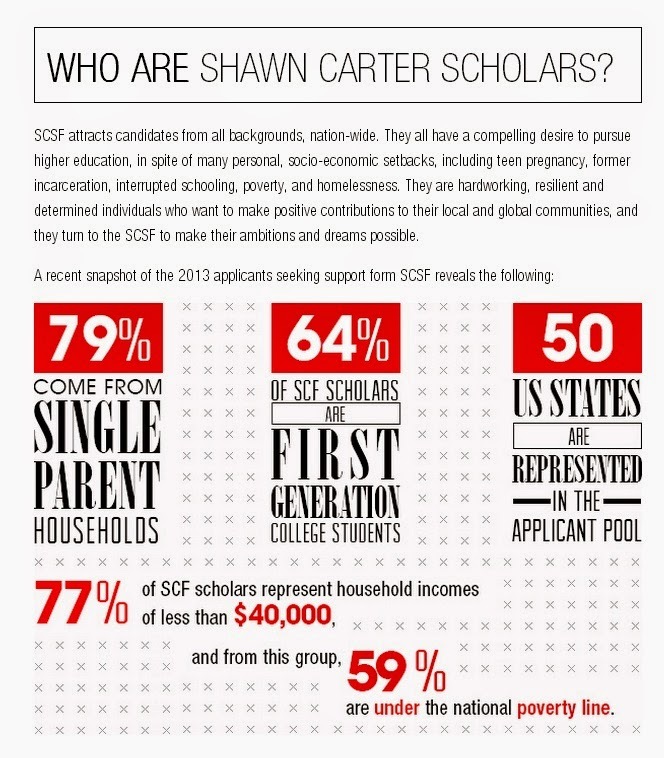 The focus of the scholarship should be applauded "SCSF attracts candidates from all backgrounds, nation-wide. They all have a compelling desire to pursue higher education, in spite of many personal, socio-economic setbacks, including teen pregnancy, former incarceration, interrupted schooling, poverty, and homelessness. They are hardworking, resilient and determined individuals who want to make positive contributions to their local and global communities, and they turn to the SCSF to make their ambitions and dreams possible." For more information visit the Shawn Carter Scholarship Foundation website. If you know a young person who could use the grants for college please let them know about it. I may be bias but I feel some of the most beautiful women in the world live in the Jamaica and Southeast Queens Area. Therefore, there should be a lot of local talent included in the Model Casting Call for Jamaica Collections 2015. Jamaica Collections, is a fashion show put on by the Jamaica Center BID (Business Improvement District), in past years. It's been organized a few years now and is put on at the Jamaica Performing Arts Center. This looks to be a very promising event. 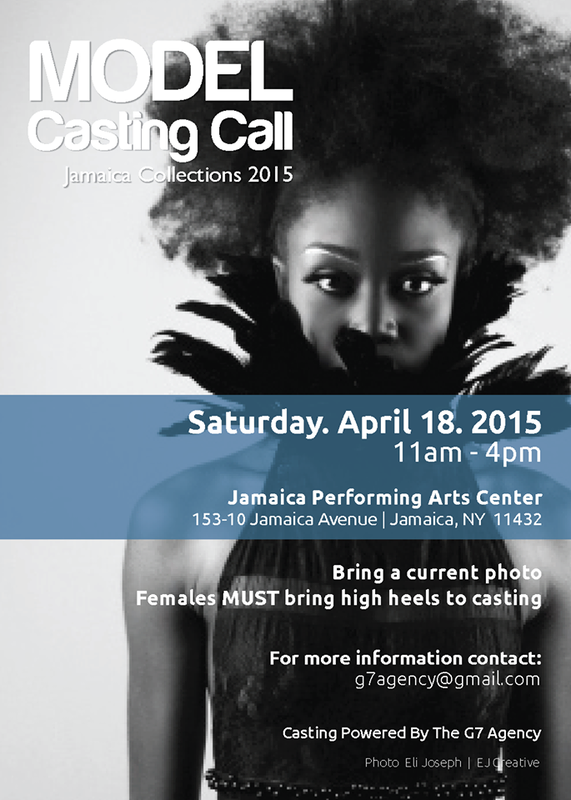 The Model Casting Call will take place Saturday, April 18th, 2015 at the Jamaica Performing Arts Center between 11 am and 4 pm. The Jamaica Performing Arts Center is located at 153-10 Jamaica Avenue, Jamaica, New York, 11432. If you have aspirations to be a model or just love to model fashion why not answer the call? Your community needs your smile, style, fashion sense, and swagger. The purpose of the Fashion show is to showcase the great retail clothing stores on Jamaica Avenue, which is the marketplace for over 250,000 people daily who shop there on a regular basis. Many of us grew up shopping on Jamaica Avenue. Jamaica Avenue is undergoing revitalization and is becoming a cultural center and fashion hub in NYC. With the strong gentrification going on in traditional Black neighborhoods like Harlem and Central Brooklyn then Jamaica, Queens, becomes almost a new cultural epicenter by default. If you think you have what it takes to rep the neighborhood well answer the call this Saturday. And good luck! I am not ashamed of the fact that I admire Black women and women in general for their invaluable, tireless, and selfless contributions to society. I'm in awe of how women keep the fabric of our culture and civilization going - the family. Needless to say I was elated to see that a dance troupe with a theme of celebrating outstanding women is coming to our area. 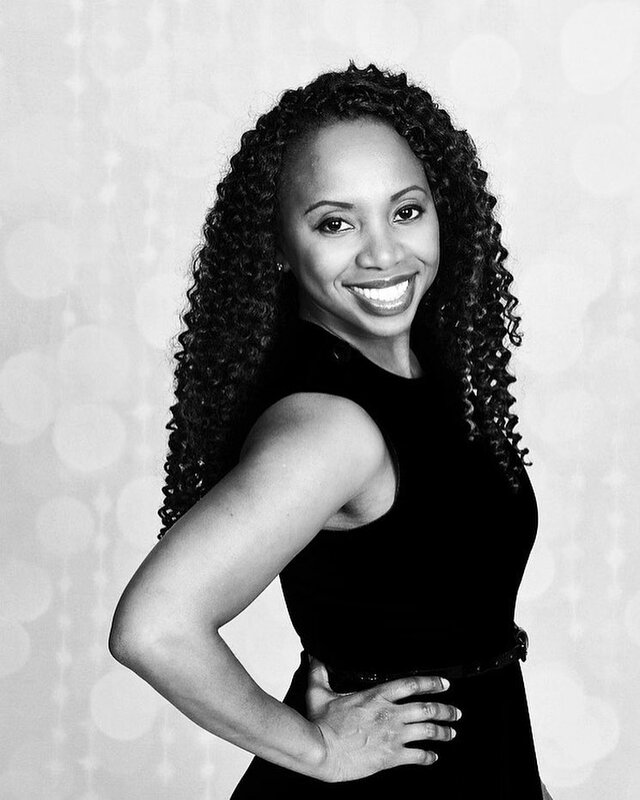 Yep, the "Celebration of Extraordinary Women" is coming to the Jamaica Performing Arts Center and promises to be a captivating community event. 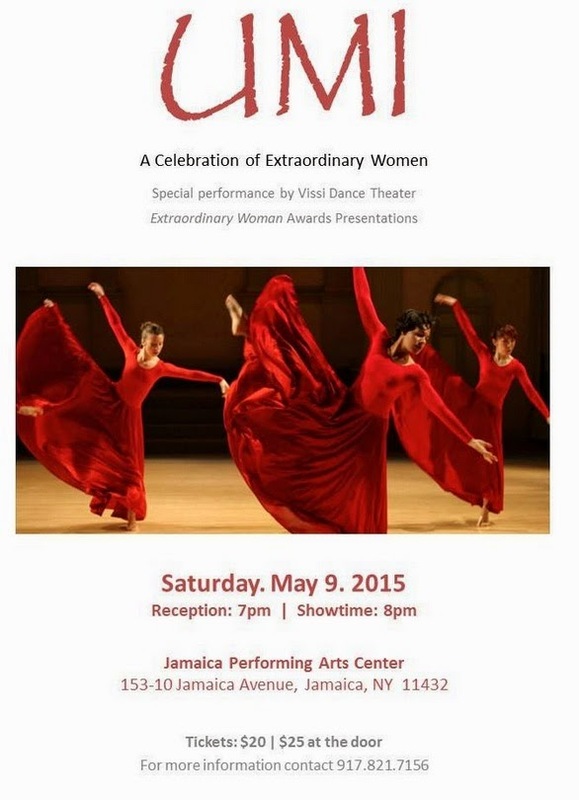 The event will take place Saturday, May 9th, 2015 at the Jamaica Performing Arts Center, 153-10 Jamaica Avenue, NY 11432. The event will feature performances of the Vissi Dance Troupe. This is a highly anticipated community event and I understand awards will be given out to Extraordinary Women. I will do more research and digging into exactly the honorees will be at this celebration. This should be a great event to attend. Labels: Celebration of Extraordinary Women, Celebration of Extraordinary Women comes to Jamaica Queens. 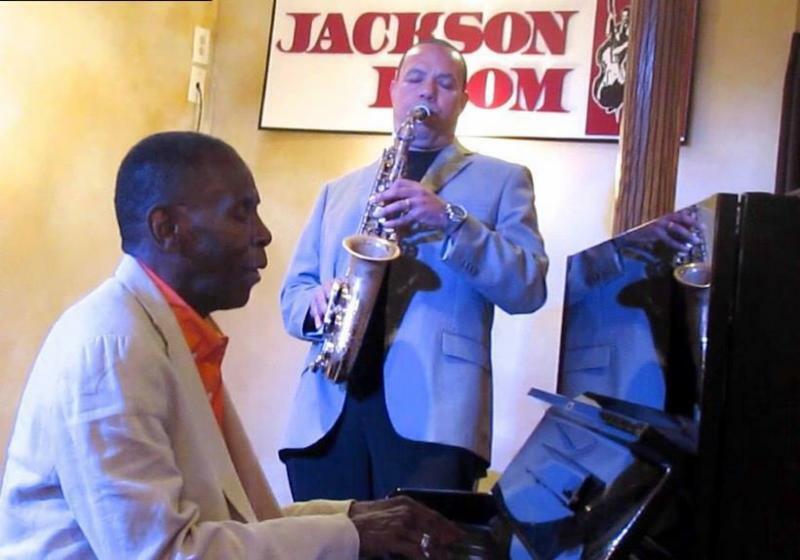 Jackson Room, a local venue for jazz and the Ed Jackson quartet, a highly regarded local jazz group, is again showing their dedication to "bring world class jazz back to our community." Ed Jackson, the group leader and alto sax musician extraordinaire, is also a successful entrepreneur. He started Jackson Room, as a community outlet to also occasionally showcase premier jazz acts and groups. In keeping with his vision his namesake quartet will be doing a special Tribute to the Jazz Legends of Queens, Saturday, April 25th, 2015. 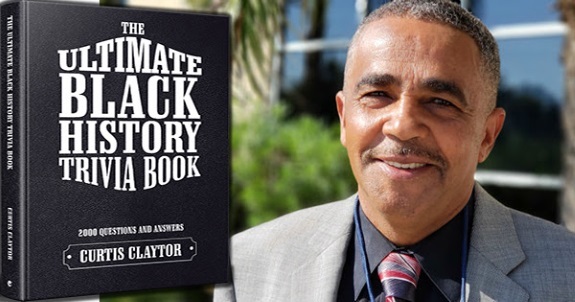 Ed Jackson is elated to give homage to the jazz greats in our area who went before him. Jackson reflects "the performances at Jackson Room are in the true spirit and rich tradition of jazz in Southeast Queens. In keeping with the great tradition of jazz in Queens, and especially Southeast Queens, we will be doing an exclusive performance themed Tribute to the Jazz Legends of Queens." This section of Queens, that Jackson Room calls home, has also been the home at one time or another, to jazz legends like Count Basie, Fats Waller, Billie Holiday, John Coltrane, Lena Horne, Ella Fitzgerald, and Mercer Ellington, and many more. Queens in general has a rich tradition of Jazz legends who have resided here. What better place to commemorate the great jazz tradition of southern Queens than listening to riveting jazz at Jackson Room? Why don't you come out and see who the Ed Jackson Quartet gives tribute to in representing the great jazz artists who lived in South Queens? Ed Jackson reveals "I am elated to have confirmed for this special performance a legend in jazz in his own right, the renowned George Cables, will be on piano that evening." The joint in Jamaica Queens, St. Albans, will definitely be jumping. So come on out and enjoy "Tribute to the Jazz Legends of Queens" - The Ed Jackson Quartet Gives Homage to the Legacy, Saturday, April 25th, 2015. As usual the Jackson Room events are well attended so I advise for you to book your reservation right now. This is a special performance giving homage to the "World class jazz in our community" so be there or be square. Secure your seat by clicking here to RSVP right away. "Tribute to the Jazz Legends of Queens!"